Unbeaten in all competitions so far in 2018-19, Juve looked set for yet another win when Cristiano Ronaldo sent them ahead in the second half against struggling United. But Mourinho’s men had other ideas, drawing level through Juan Mata before Alex Sandro’s last-minute own goal gave them a priceless win. The Special One is not fondly remembered in Turin, due to his exploits with the club’s bitter rivals Inter that included a treble win in 2008-9. 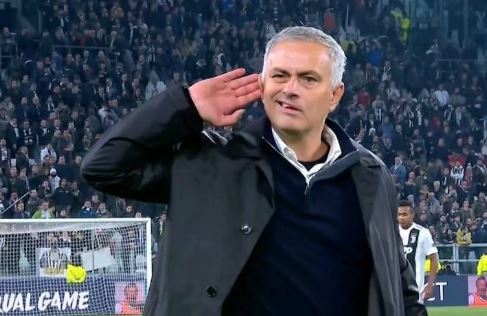 But after holding his hand up to his ear at the final whistle with a grin on his face, Mourinho believes he had every right to enjoy the triumph. Understandably, Mourinho preferred to focus on the positives, including one of the biggest results managed so far during his United tenure against an elite European side. “We played a fantastic game, to our top level, as we cannot be any better than this. We came here to play like a team that was against a side with different potential on every level,” he added. He also praised Mata and much-maligned midfielder Marouane Fellaini, who came off the bench to change the course of the game. “Fellaini changes the game, most often at home. We didn’t have him in the first leg, Juventus introduced Barzagli to control us, but we immediately went direct and got the goals,” Mourinho explained.